Atopic dermatitis is a chronic inflammatory skin condition that primarily begins in early childhood. The skin in atopic dermatitis is characterized by immune dysfunction and by an impaired skin barrier function with a reduction of filaggrin proteins. Intracellular filaggrin proteins are degraded into amino acids and constitute a part of the so-called ‘natural moisturizing factors’, which help to maintain skin hydration. Thus, a deficiency of epidermal filaggrin results in xerotic skin with increased transepidermal water loss and increased pH, as well as a higher propensity to allergen penetration and pathogenic microbial growth. Daily application of emollients has for a long time provided the basis for conventional atopic dermatitis management. However, health care providers need to be aware of the possible harmful effects of chemicals deliberately added to emollients, or that unintentionally are released from the plastic containers into the product. For example, in so-called ‘hypoallergenic’ pediatric personal care products on the American market, there is a large proportion that contain skin sensitizers including parabens. Moreover, phthalate diesters are found in some cosmetic and personal care products, primarily as contaminants from plastic containers, but these chemicals may in some cases be added due to their softening effects. Importantly, these chemicals may penetrate the skin and result in internal exposure. In this exploratory study, we compared the urinary levels of phthalate metabolites and parabens in a cohort of 845 Danish children 4-9 years of age and evaluated whether a possible association existed with filaggrin gene mutations, atopic dermatitis, and self-reported use of emollients. Children were genotyped for the common filaggrin gene loss-of-function mutations R501X, 2282del4 and R2447X. Information about atopic dermatitis and use of emollients was obtained from questionnaires completed by parents. The results showed that phthalate metabolite and paraben levels were generally higher in children with frequent use of emollients compared to uncommon users, reaching statistical significance for some low molecular weight phthalates and parabens. 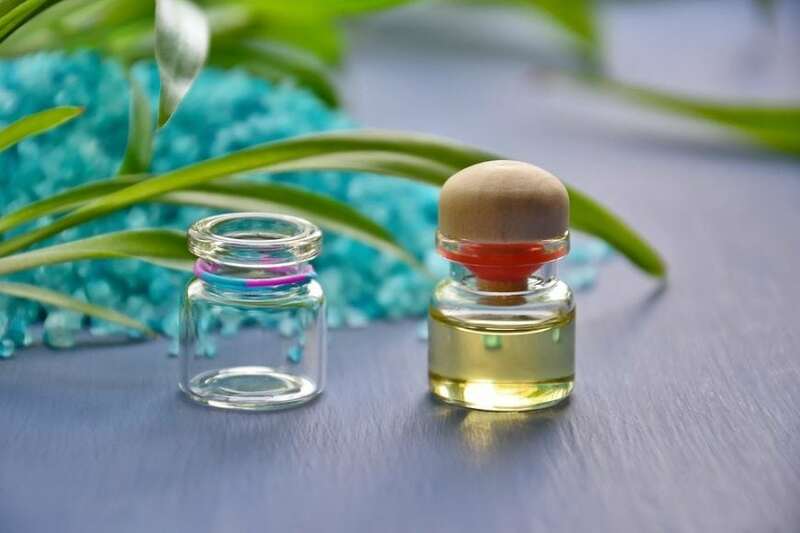 Since the most frequently detected phthalate metabolites belonged to the low molecular weight phthalate group, cosmetic and personal care products represent a possible source. We found no association between urinary phthalate metabolite or paraben levels and filaggrin gene mutation status, perhaps because the effect of filaggrin gene mutations on skin penetration is much less pronounced than atopic dermatitis. Children with atopic dermatitis generally had increased urinary phthalate and paraben levels compared to children without atopic dermatitis, but this difference was only significant in fully adjusted analyses for one low molecular weight phthalate metabolite and two parabens. It is unknown whether the higher internal chemical exposure in individuals with atopic dermatitis was caused by increased use of emollients and topical products to treat xerotic or inflamed skin, or rather a consequence of enhanced penetration through an impaired skin barrier. While our study could not provide evidence of causation, further longitudinal studies measuring chemical exposure from different emollients, and stratified for atopic dermatitis severity, are warranted. We propose that emollient formulation should minimize contamination with phthalates during manufacture, and suggest that market surveys are performed to estimate the magnitude of this problem. Importantly, studies are needed to examine the range of levels of these ubiquitous chemicals with adverse health consequences. Finally, clinically recommended topical products should be checked for their content of possible harmful chemicals especially when used for primary prevention of atopic dermatitis. These findings are described in the article entitled Children with atopic dermatitis and frequent emollient use have increased urinary levels of low-molecular-weight phthalate metabolites and parabens, published in the journal Allergy. This work was led by Line Overgaard and Jacob Thyssen from Copenhagen University Hospital. Line E. K. Overgaard is a researcher at the University of Copenhagen. Jacob P Thyssen is a consultant at the Copenhagen University Hospital Herlev-Gentofte · Department of Dermatology and Allergology.